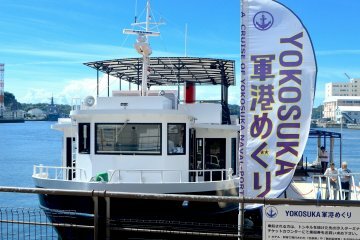 Yokosuka Yokoso! Welcome to Yokosuka! The "other" Yoko, a city in Kanagawa located far down the Miura Peninsula, is filled with rich Naval history. Enclosed by the sea to the East and West, and with a population of almost half a million people, it is without a doubt a center for the shipbuilding industry and automotive production, specifically Nissan Motor Co. The sea has not only brought in prosperity but a few notable people from foreign lands. The American Naval Commodore, Matthew C. Perry, arrived in 1853 with his fleet of "Black Ships", leading to the opening of diplomatic and trade relations between Japan and United States. During the final years of the Edo era, Yokosuka was chosen as the site for a modern naval base. French engineer Léonce Verny was selected to manage the development of various shipbuilding facilities, beginning with Yokosuka Iron Foundry. In 1889, the Yokosuka Line railway was opened, connecting Yokosuka to Yokohama and Tokyo. Yokosuka is also served by the Keikyu Line. Twenty years later, in February of 1907, after showing substantial growth, Yokosuka was officially designated as a city. American occupation forces moored in Yokosuka on August 30, 1945 after the signing of the Peace Treaty ending World War II, and has been an active base for the US Navy since then. From the 1950s, Yokosuka has been the homeport for the important United States Seventh Fleet, and played critical roles in the Korean War and then later the Vietnam War. Currently, the USS George Washington is based in Yokosuka—the first time that a nuclear-powered ship has been permanently based in Japan. Yokosuka’s culture has been influenced in numerous ways by the great number of Americans living in the area. Western-style restaurants and bars dot Yokosuka’s streets, and “Yokosuka Curry” has become popular throughout Japan. The Japan Maritime Self-Defense Force also operates a military port next to the American base; you can sit and bask in the sun in a park and view both bases or you can visit during the Cherry Blossoms or Sakura Season when the American Base opens its doors to the public when the Sakura is in full bloom. 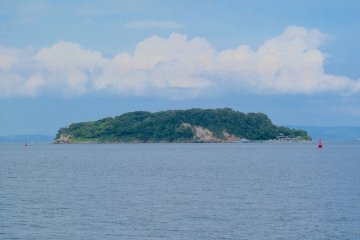 Yokosuka and its environs is a city full of beauty and enjoyable things to do, including Verny Park, Sarushima Island, Umibe-Tsuri Fishing Park, Kannonzaki Lighthouse, and the Shobu-en Iris Garden. 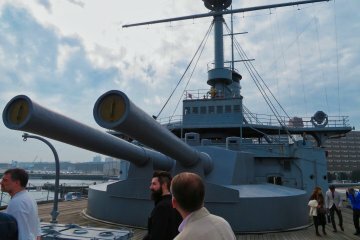 Come to Yokosuka for an interesting mix of naval history, and the beauty of the sea! The first Creole restaurant in Yokosuka, Japan is now bigger and better than ever! Nawlins BBQ House, formerly Nawlins, is now..
Tetsugama in Yokosuka offers a flavorful selection of ramen in an interior rustic setting. With plenty of wide-open seating, T..
With its bright white exterior and natural wood interior, Musetto is a cozy innocent café that offers a variety of yummy latte.. 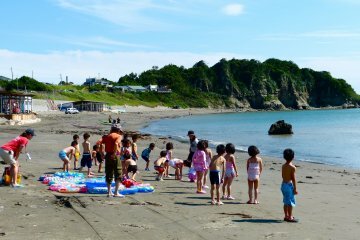 If you come to the Hayama Hotel Otowa no Mori, the best way to spend your time might be to do nothing—just relax. Here you wil..
Fruit-picking in Tsukuihama, Yokosuka. And lunch at the beach. Experience the best of residential Yokosuka during early spring where you’re sure to find some pleasant surprises lurking in t..